Select Reward stamps are given for every whole £10 spent on a treatment in a single transaction. Please remember to bring your card for each appointment as you may miss out on collecting your stamps. Remember you can still book in on www.bookarh.com for your Winter Glow package anytime between now and February 28th, when the promotion will end. 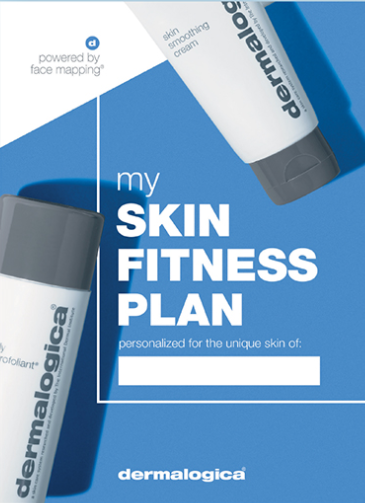 This month sees the launch of the new Skin Fitness Plans (powered by Facemapping®). It is a new initiative designed for you to have a more in depth conversation with me regarding your skin every few months, so we can keep on top of any seasonal changes to your skin (i.e. dehydrated in winter because of heating). For January you can book in a special package which includes time for a Skin Fitness Plan, a SkinSolver® treatment and a prescriptive skin health kit for £30 on www.bookarh.com (look under the seasonal packages to find it). As always, I am giving you the heads up in January, however any price increases I make always take effect in the new tax year which starts on the 6th April, but as this falls on a Friday I will be delaying the increases until the following week. So with effect from 9th April 2018 you will see an increase in price of all services, except for those detailed below which will remain static. Not affected are Aromawax massages, which were priced in anticipation of cost rises, nor are any Eve Taylor® skin treatments for the same reason. Dermalogica® treatments, which you will already be aware of had the prices changed with effect from 1st January when the new ProSkin 30 and ProSkin 60 replaced the old treatments. I will be able to tell you how prices are changing when I next see you. As of right now, I will be disregarding all RRP for Dermalogica® retail items. Previously when Dermalogica® retail was sold, you could get free treatments depending on how much you spent. Taking on board feedback that people would just prefer a lower price, I am happy to accommodate and swap out free treatments for lower prices. I hope you will find this a bit more easy to understand than the old system of spend this to get that, spend a pound more and get this or that, buy seven of these and get a fancy hat and so on. I will still have freebies that pop up through the year which will still form part of promotions though. This month for every Dermalogica® product you buy, you will receive a trial size that I think will work great with your skin (while stocks last). Keep hold of your receipt as if you spend £25 on any Eve Taylor® products this month you can use the coupon to claim a free Refining Eye Gel. That is all for this month. I hope you have a great January! For many years Dermalogica® has been at the forefront of product formulation and has also been an innovator on the professional side of the industry. From January you will be seeing a new look and a rethink on how professional treatments are performed. The first change is to facemapping® skin analysis. You know that 14 zone map of your face you get post treatment? Well it is about to become much more easy to understand. Reducing the amount of zones to make your facemap simple, you will receive the brand new Skin Fitness Plan (powered by facemapping®). Next to change is the professional services. Staying put is the SkinSolver® ten minute treatment (£10), launched last year. So what is changing? From January microZone®, the Dermalogica Skin Treatment® and IonActive will be no more. You see they are all fantastic treatments, but if they can be made even more amazing then why not do that? Expert Active - 30-60 minutes, £50 - Intensive resurfacing treatment for dramatic results. A super charged treatment that features BioSurface Peel powered up with the latest technology to deliver smooth polished skin. Intensive products, no redness, no downtime...just amazing skin. So what is different? The power of IonActive products is what. Rather than keep them as a stand alone high-end treatment, the range will be split and form part of my main professional product arsenal. This means I can power up your treatment like never before, giving you quick and dramatic results in just one appointment. New options are available to book now. Existing options will remain in place until the end of the month. Any appointments booked for January and beyond will automatically upgraded to the new treatment options. If you have any questions about the changes just reply to this email and I'll get back to you with an answer! You may now be seeing oil based cleansers pop up everywhere and you may not be quite sure what they do. You see the best way to remove oil from your face is to put more on! Crazy isn't it? The oil that is mixed in with whatever oil is on your skin, be that your skins natural oil (sebum), makeup or SPF oleosomes, will all blend into one. A cleansing oil is always hydrophillic (loves water) unlike the other types of oil found on your skin naturally or from products which can be hydrophobic. Using the hydrophillic properties of the cleansing oil, water can be introduced and this not only emulsifies itself, but also the other oils that we don't want on the skin. Once the skin is superficially 'clean' of these oils your regular prescribed cleanser can actually do the job it was designed for much better than a double cleanse with one cleanser can do. Without the oily debris, your cleanser can now reach the follicles and pores to remove trapped debris. If you are a heavy makeup wearer (12 hour foundation, long stay lipstick, heavy mascara) you especially need to make sure you are cleansing correctly. Free samples of Precleanse and Precleanse Balm are available, just ask at your next appointment. Eve Taylor® launch Deal originally only available for September, but due to demand I've extended the end date to 31st October. Deep clean, and hydrate skin for maximum luminosity and glow. This service ensures your skin is a smooth and polished canvas while giving you a choice of targeting your favourite facial feature – eyes or lips. Skin is illuminated and dewy – leaving you with a healthy natural look or perfectly primed for makeup application. Remember to keep your receipt this month, it will have a coupon for a manicure in November for £15 which includes a free OPI Avojuice hand lotion. I hope you have a great October and look forward to seeing you soon! September sees the launch of new treatment options and new product additions. First up, I'm happy to announce the return of Eve Taylor® skin care treatments and products. As many of you know, I currently use Eve Taylor® oils during massage treatments. If you have been coming to me for a few years you will remember that I used these products (amongst others) prior to taking on the Dermalogica® range. At the time, the decision to streamline the offering was to avoid too much confusion, as at the time I had five ranges! I know that some of you also still use elements of the other ranges alongside Dermalogica®. Recently Eve Taylor® have been making impressive advancements in their formulas and have a great range of products to support professional treatments at home. This is why I have decided to re-introduce the range. As an extra option, if you want extra massage time, you can book 15 minute time slots for £7.50. Using organic plant wax, the handmade Eve Taylor® Aroma Wax candle range melt at a much lower temperature than regular wax (good thing eh! ), meaning that once partially melted, the wax which is infused with high grade essential oils can be used for massage. Once your treatment ends you can take your candle to use at home. It has a burn time of 40 hours (less time when used for massage) and is perfect for hands, elbows and feet, meaning it is the treatment that just keeps going (or you can just use it as a candle of course). Candle back, neck and shoulder massage is £22 or the full body massage option is £37. Candle can be selected on the day and include amazing blends like Fruit Crush, Wild Fig & Grape and Ylang Ylang. The Eve Taylor® Aroma Wax massage candles are available to purchase separately for £13.19. Launching 7th September is the new Pre Cleanse Balm. It uses the same principles as Pre Cleanse however it is more suited to drier skins. It is also great for use on the go or on holiday. It comes in 90ml full size for £44 or a handy travel size 15ml for £14.70. Remember to keep your receipt this month, a coupon for £5 off the new Candle Massage treatments is attached, so if you don't want to take advantage of the Eve Taylor® Launch Offer, you can still try out this amazing new treatment. When you come in this month remember to have your Christmas appointment time and date in mind. Currently the Friday and Saturday before is now full and the Wednesday and Thursday is nearly full. I will also be available the Monday and Tuesday of that week. October is here, which means time for the new round of promotions. We have two new treatments added to the menu in the form of Hot Stone therapy and Indian head massage. Both now performed by Sarah. Indian head massage will be priced at £15 for 25min treatment time and Hot Stone back massage (25min) will be priced at £20 or full body (60min) at £30. But wait! Your receipts for October-November will have a coupon for Hot Stone back massage for £17 of full body for £27. This will lock in that price when you have a coupon up to the 30th November. All Dermalogica® C******s (I'll censor the word until next month at least) kits are available for purchase. Please see the Facebook page for full descriptions and prices. Some items will be sold out by the time December swings round so best grab them now if you want them, while I can still get hold of some of the sets. For October you will be able to experience IonActive™ for £50 instead of £60. IonActive™ is a next level Expert skin treatment from Dermalogica® that uses high strength products mixed with electrical modalities to provide results you will love. If you have both microZone and the Dermalogica skin treatment and know the difference you experience with the two, this one is again another level up from that. Also anyone having this treatment will be entitled to 10% off any retail products purchased on the day. Some of you that have been coming a while know that we use Eve Taylor oils for massage and aromatherapy and that we also used to use the skin care range among others prior to appointing Dermalogica® as our main provider. Sarah has decided to introduce skin treatments into her menu and has elected the Eve Taylor® aromatherapy based brand as her product of choice. A 15 minute chat about you and your skin. At the end of your analysis you will be given treatment and product recommendations that will help you achieve the skin skin you want. 30 minutes of skin treatment, incorporating cleansing, facial massage and prescriptive moisturiser. 50 minutes of skin treatment, incorporating cleansing, facial massage, prescriptive masque and prescriptive moisturiser. Using hot towels throughout to remove, and the option of a scalp, hand and arm, leg and foot or further facial massage while your masque is on. 30 minutes of hot stone back, neck and shoulder massage. This is followed by 50 minutes of skin treatment, incorporating cleansing, facial massage, prescriptive masque and prescriptive moisturiser. Using hot towels throughout to remove, and the option of a scalp, hand and arm, leg and foot or further facial massage while your masque is on. 60 minutes of hot stone massage. This is followed by 50 minutes of skin treatment, incorporating cleansing, facial massage, prescriptive masque and prescriptive moisturiser. Using hot towels throughout to remove, and the option of a scalp, hand and arm, leg and foot or further facial massage while your masque is on. To win next months prize of a rescue me! skit kit simply have a Dermalogica treatment to be entered into the draw. Winner announced in email newsletter.